Now that the days are getting longer and hotter, it is best to keep your home cool by adding indoor plants and blooms. It will not only add ventilation to the house, it will also add beauty and colour to every corner of your home. Here are some of the finest indoor flowers you can have this summer season. Peace Lilies – Peace lilies are the best indoor plant to have during summer seasons. This plant is often seen at offices and homes. The glossy white leaves make it a unique indoor plant and can give added light to the room. African Violets – African violets are small and come in different variety of colours and forms. 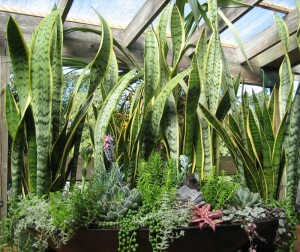 However, keeping this plant indoors needs extra care in watering it and keeping it in humid and bright area is required. If well-cared, you can expect the plant to bring life and colour to your home all year round. Bromeliads – Bromeliads are one of the most decorative and colourful plant to have in an indoor setting, but can be hard to bring into bloom. Fortunately, new breeds of bromeliads are available in nurseries that only take weeks to fully bloom. Hibiscus – Hibiscus is known for the wonders it brings to the hair. Aside from that, this flower is available in different bright colours, which will surely add life to your home. When having it indoors, remember that the plant needs warmth and light. With this, taking care of your hibiscus plant won’t be as hard during summer seasons.